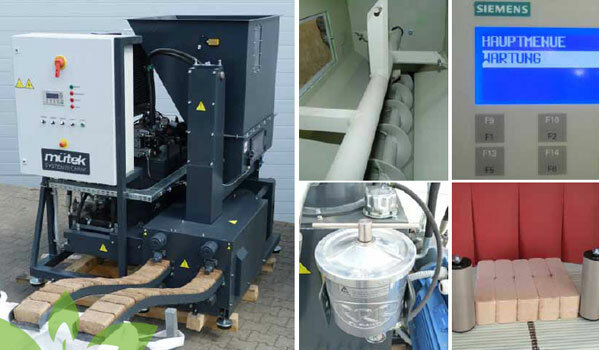 mütek Systemtechnik is the specialist for the supply of individual machines and complete solutions for the energetic use of peat. 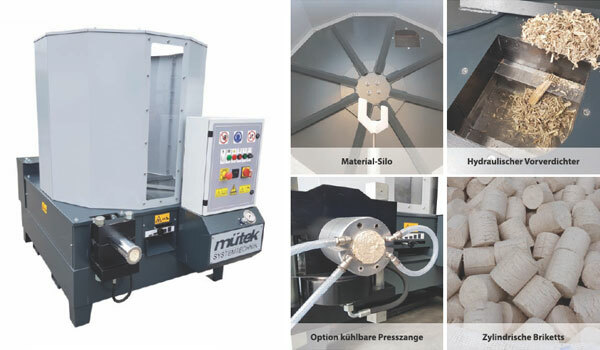 Mütek provides valuable information and experience about the energetic use of peat, plans and designs the machine technology, supplies and assembles the entire plant. Sturdy briquetting press with very good price-performance-ratio. Performance: from appr. 30 kg/h up to 550 kg/h. Briquette: cylindrical. 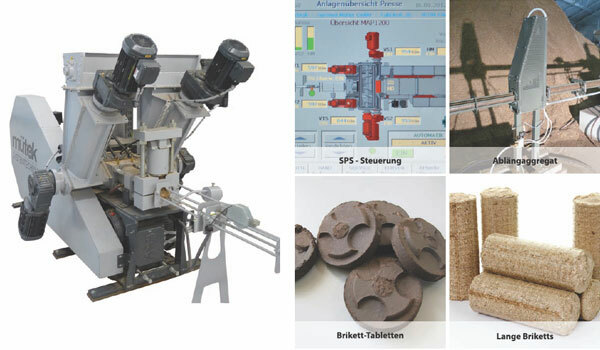 wear reduced matrix briquetting press with a performance of appr. 500 kg/h for continouus operation to produce square briquettes. Eccentric Briquetting press in industrial model. Performance: up to 1.200 kg/h. Briquette: cylindrical as endless briquette line or as biscuits.